These with their pop of color has really brought the birds to my yard. They now thrive well and small wildlife just adore my yard. I planted it in too much sun and it scorched, I will be ordering more and trying again! Bracken Ferns, often shortened to 'Bracken,' are some of the most common ferns worldwide. They are also a fantastically hardy variety, tolerating a wide range of temperatures and types of soil. If you enjoy growing your garden mushrooms, the Bracken Fern's canopy provides an excellent area for mushrooms cultivation! 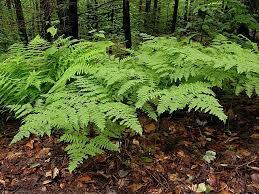 These ferns are amazing and work great in flower gardens and especially natural areas. 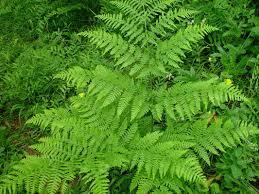 This fern grows and can spread very fast to cover areas. They are fast growers and look amazing as it covers an area or gardens with gorgeous bright green color. 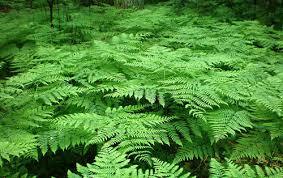 These ferns are very good for all homeowners as they are easy to grow and does not take a lot of maintenance. They provide a natural feel to all gardens and other areas where they are planted. These ferns would make a lovely addition to any yard.